Each year, up to a third of new students arriving on campus enter the university as "undeclared." Other students declare a Major and later change it, and some students change Majors more than once. At UW-Superior, that's okay. Our university is the ideal place to explore topics, ideas and professions that may be new to you - all while earning credits toward your degree and being connected to the community. As your knowledge and experience grows, you'll find a Major that fits your needs and interests, and you'll continue to build on your connections. The Center for Academic Advising offers information, advice and classes to help you select a Major and reach your academic goals. When you are ready to declare your Major, or if you wish to change your Major, you do so at the Center for Academic Advising in Old Main 134. There you can also meet with your academic advisor to talk about your interests and options. In addition to your advisor, the Center's website provides helpful info and links to various campus support services and academic programs and other tools and resources. 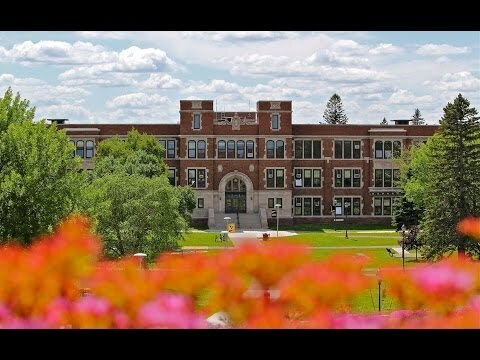 Help you understand the UW-Superior graduation requirements. Assist you with setting academic and career goals. Refer you to campus support services like tutoring, health and counseling. Discuss how a liberal and professional education from UW-Superior can help prepare you to reach your career and life goals. Advise you with class enrollment and in developing semester and long-term schedules. If you are curious about an academic field or about the various careers related to that academic field, make an appointment to talk with a faculty member in that area. You can find office locations and telephone numbers for all academic departments and faculty members through our online or hard copy campus directories. Participating in hands-on learning activities like internships, lab work, performances and classes that stress the practical application of theories and data. Exploring different Majors and careers by volunteering with campus and community organizations. You can explore new fields and potential careers by joining any of the dozens of student-run academic or social organization on campus. Plus, it looks great on your resume. Providing unparalleled professional training. You learn skills needed to succeed in business, computing science, teaching, social work, music and many other fields. With our small classes and personal attention, you cannot help but to be an engaged learner. You'll have the chance to join discussions, get extra help and take part in team projects. Experienced instructors teach all classes and help advise students within their Majors on the courses needed. Our campus offers increased opportunities for you to work in labs, perform in musical ensembles, join theatre productions or work individually with professors. A liberal arts education prepares you both personally and professionally, and many employers know that a liberal arts education prepares students for successful careers. According to the National Association of Colleges and Employers (NACE), companies tend to focus on finding graduates with the right skills rather than the right Major. Also, a majority of employers have indicated that a new employee with the right skills could easily learn the specifics of an industry by utilizing their transferable skills. UW-Superior provides you with a well-rounded liberal arts education. You'll learn how to examine ideas and to solve problems, to organize your thoughts, to present your view and to work as part of a team, so you can become a leader. You'll need all of these skills no matter where your career path takes you, and all of these skills are emphasized throughout our active and supportive learning environments. The UW-Superior liberal arts requirements provide a strong foundation for academic and career success. The 42 to 48 credits of general education requirements are normally completed during your first two years of college. You have many choices when fulfilling these requirements, and your advisor can help you select courses that are most appropriate for you. Many students have used these courses to help explore different fields of study that ultimately led to a Major and/or was valuable to their career. Andrea Beck's favorite general education course was Intro to Technical Theatre (COMM 180). "I thought it was going to be some beginning acting course," said the Biology Major. "But we actually got to help build the sets for the Theatre production of Rumpelstiltskin. The entire class went to see one of the performances, and it was cool to see our work used in the production." Jack Hajewski was having second thoughts about his Major, so he decided to explore courses in subject matter he was enthusiastic about - Video Production. He enrolled in a Video Production class, something he was involved in during his high school years, and he rediscovered his passion and consequently discovered a new path. Hajewski went on to Major in Communicating Arts, Mass Communications Concentration, on the Video Production Track and combined that with another passion, athletics, to earn a Minor in Sports Management. The Academic Advisement Center recommends the class Exploring Majors and Academic Possibilities (IDS 297) for students who haven't yet decided on a Major or for those who just want to clarify their choice of Majors or careers. The course may be taken for 1-3 credits, and it assists you with understanding your personality preferences that ultimately lead toward an improved understanding of what Majors and what careers would be most compatible and interesting for you.